Posted July 20, 2018 • filed under News, Research. Way back in the wilds of the year 2008, artist-extraordinaire James Morgan and I engaged in an animated discussion about Augmented and Virtual Reality. At that time James and I were collaborators-in-crime in the Third Faction Collective, a group of digital artists intent on constructing game interventions in Massively Multiplayer Online Spaces. During this discussion, I pitched to James an idea to establish an online space devoted to all things Synthetic Reality based (my umbrella term for Virtual Reality, Augmented Reality, and Mixed Reality). This space, called Augmentology 101, intrigued James to the point where a decision was made to sponsor it through the Ars Virtua Foundation and CADRE Laboratory for New Media. What followed was an amazing exploration into the creative potentials of Synthetic Reality – what’s now known as XR (Extended Reality) – and how it might manifest within the realm of electronic literature. It’s now been 10 years since the initialisation of the Augmentology 101 project. 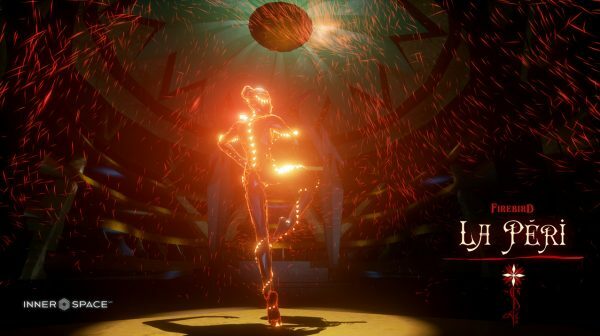 During this decade, there’s been a major upswing in VR and AR production and development, with impactful XR content such as Firebird – La Péri (a 2016 English/Chinese/French multilingual VR Experience) and Queerskins VR (2018) being standout examples. My own attempts at merging digital literature into developing XR fields have been multiple and varied, originating in delving into VR in the 1990’s when VRML was the shiny new thing. Surprisingly enough, the creative and technical challenges that VR creators faced back then are similar to those we face today: high performance requirements, mainstream adoption hurdles (see: Gartner Hype Cycle), and monetisation dilemmas are all relevant. Likewise, skillsets required by VR content creators in the mid 1990’s again parallel XR creators of today, including developing a deep knowledge of spatial storytelling logistics; emotional intelligence; and the ability to formulate story experiences that take into account various hardware and platform limitations such as field of view constraints, tethered headsets restricting natural movements, and hardware specific limitations like the screen-door effect. In terms of XR projects I’ve produced in the last decade, a brief selection includes conceiving of and co-developing the 2013 anti-surveillance AR game #PRISOM, and in 2015 mapping out with Andy Campbell the (now unfinished) PC/VR project Square Ebony that was to be filled with: “…movement/imagery like huge ‘Panic Room’ landscaped letters…a force field of green…branches intertwined…tangles being text…[that] revolves around an entity…this entity is slowly reconfiguring itself…at the top of a hill/mountain/plateau surrounded by brackish water” (notes from Square Ebony Project Meeting and Documentation, Breeze and Campbell, March 10th 2015). In 2016 I lectured as part of the “Future Possible: Beyond the Screen” Series which centred on how VR can transform creative practice, and which also included a live VR performance walkthrough using one of my Tilt Brush created works. 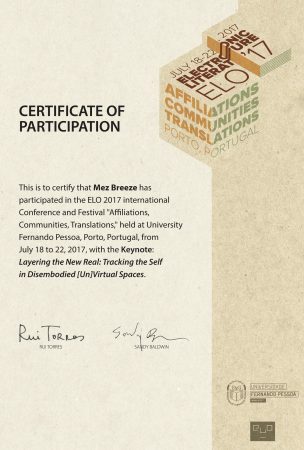 In 2017 I keynoted at the Electronic Literature Conference with a VR performance presented both live at the Conference and simultaneously in Virtual Reality. 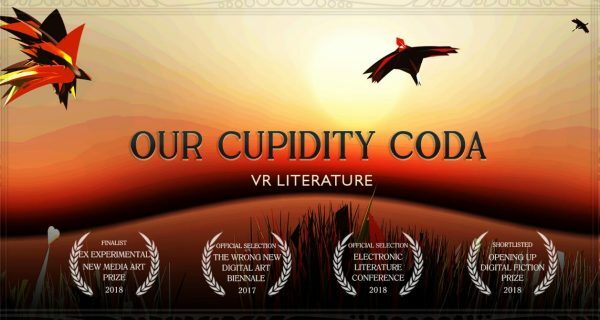 In 2017 I created the VR Poem/Experience Our Cupidity Coda. This VR work was designed to emulate conventions established in early cinematographic days (the silent soundtrack, white on black intertitle-like text, similarities to Kinetoscope viewing) in order to echo a parallel sense of creative pioneering/exploration evident at that time. In 2017, Our Cupidity Coda premiered at The Wrong Digital Art Biennale, and in 2018 made the Finals of the EX Experimental New Media Art Award as well as the Opening Up Digital Fiction Prize. Also, in 2017/2018 I wrote, co-produced, and was Creative Director and Narrative Designer of the Inanimate Alice VR Adventure Perpetual Nomads. Thorough participation in a high-end VR based experience like Perpetual Nomads hinges entirely on immersion, which is triggered initially through the audience having to don gear that firstly reduces their ability to engage in their actual physical space in standard ways (their vision and hearing being “co-opted” into a VR space). The leap of faith the audience needs to make to establish a valid and willing suspension of disbelief (as Samuel Coleridge so aptly phrased it) is already set in motion by the fact a user is entirely aware from the moment they slip on a VR Headset that their body is in essence hijacked by the experience (haptically, kinetically), as opposed to a more removed projection into a story space via more traditional forms (think book reading, movies, tv). Such body co-opting might lead a user to disengage from the VR experience from the very beginning which will reduce the likelihood of true immersion: alternatively, they may readily fall headlong into the experience with an absolute sense of engagement and wonder (the preferred option as a VR content creator!) if the work has been precisely crafted. For the most part, XR projects such as those mentioned above currently exist only in the mainstream margins, with a majority of experiences requiring costly high-end VR rigs and expensive desktop computers that demand audiences experience the works in their optimal state. To counteract this selective catering to the exorbitant end of the XR market, in early 2018 I had the idea to create a VR Experience that would reduce the mandatory use of high-end tech. This project would instead cater directly to a range of audiences by crafting a work that could be experienced across a far larger (and much more accessible) range of lower-end tech. This VR Literature work is called A Place Called Ormalcy. A Place Called Ormalcy is digital literature designed for, and developed in, Virtual Reality. 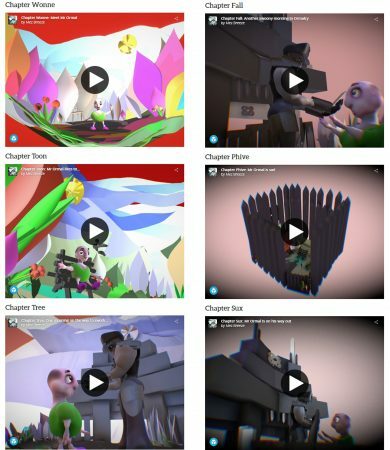 It was constructed using the Virtual Reality Application MasterpieceVR to craft the 3D models, with each chapter (made up of 3D models, text, and audio components) then combined and hosted via the Sketchfab platform. It’s comprised of a text-based story made up of seven short Chapters which are housed in 3D/Virtual Reality environments. It can be accessed via a wide range (crucial in terms of its social commentary aspect) of mobile devices, desktop PCs and both low-end and high-end Virtual Reality hardware. Audiences using the cheapest type of VR equipment (such as Cardboard headsets) are able to access complete versions of this VR literature experience, as are users of any net connected mobile device with a WebVR-enabled browser. 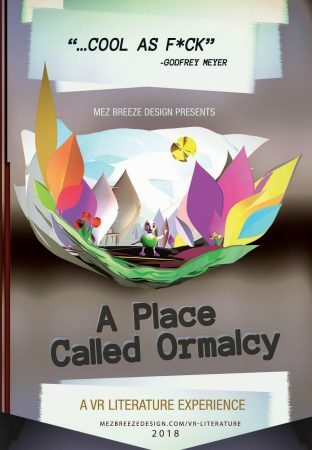 The story of A Place Called Ormalcy (warning: spoilery parts ahead) unfolds through a series of snapshots of the life of Mr Ormal, a happy-go-lucky law-abiding chap who resides in the aesthetically cartoonish world of Ormalcy. Ormalcy exists in an alternative universe complete with its own idiosyncratic language patterns. The storyworld initially presents as a Utopia full of innocent “claymationesque” contented creatures and happy citizens. As the story plays out, however, it soon becomes apparent that in actuality, this VR Experience allegorically traces the makings of a dystopic society, and how such fascist principles can arise in the most benevolent of places. This VR Literature work has social commentary at its very core, commenting directly on and about the rise of current totalitarian trajectories and the contemporary malaise, confusion and accompanying acclimatization patterns. A Place Called Ormalcy uses a combination of WebVR, 3D, VR, text and audio assets in ways that mirror a slow dystopian creep. In the desktop and mobile versions, each chapter becomes progressively visually cloistered, with dark fog and grainy distortions increasing to finally create a type of gun-barrelled claustrophobic effect. This combines with a gradual leaching of the intense colours found in the free-flowing organic imagery of the initial Chapters which results in a startlingly stripped back, fuzzy palette and model constructions: vibrancy gradually bleaches out to stark black, white and greys. Correspondingly, the 3D tableaus and audio tracks likewise alter from an initial complexity – Mr Ormal begins his story journey waving directly to the audience in “Chapter Wonne” in a bright and blooming space – which incrementally shifts towards the dramatically minimal in the final “Chapter Severn” where Mr Ormal transforms into (…spoiler alert here…) something vastly other. In the VR version of A Place Called Ormalcy, additional effects mark the dystopic “boiling frog” dilemma that Mr Ormal faces. Each VR tableau subtly increases in size and scale as the Chapters progress, with the audience finding themselves in the climatic Chapter in a looming monochromatic set surrounded by huge windowless block-shaped buildings devoid of detail – except multiple, and menacing, “88” shaped logos (and the awfully transfigured Mr Ormal). In the VR version, the text becomes increasingly difficult to navigate, with the audience having to teleport, twist and turn in the VR Environment to read each annotation, echoing the “fake news” proclamations of our contemporary Western world where it is becoming increasingly difficult to access truth over relentless propaganda. Although A Place Called Ormalcy may seemingly convey a message of hopelessness or helplessness, the ending does contain clues that all is not lost in this particular dystopian scenario – the final soundtrack offers hope, with protestors chanting and proclaiming resistance as key. Just as VR Literature can work to extend the creation of accessible electronic literature beyond the text-centric to truly encapsulate the haptic and the spatially-oriented, A Place Called Ormalcy illustrates how XR projects can act as relevant social commentary at a time when it is sorely needed. I look forward to continuing to promote, create, and experiment with stretching the limits of VR and AR while producing XR projects that are openly accessible, as well as socially relevant. Mez Breeze crafts VR sculptures/paintings, VR + AR experiences, games, experimental storytelling, Virtual Reality Literature, and other genre-defying output. Current and past tinkerings include the Virtual Reality Adventure Perpetual Nomads, predicting the rise of Augmented Reality at The Next Web, exhibiting with the Third Faction Collective at World of Warcraft: Emergent Media Phenomenon, and creating A Place Called Ormalcy, a dystopian Sketchfab-based VR Literature work.